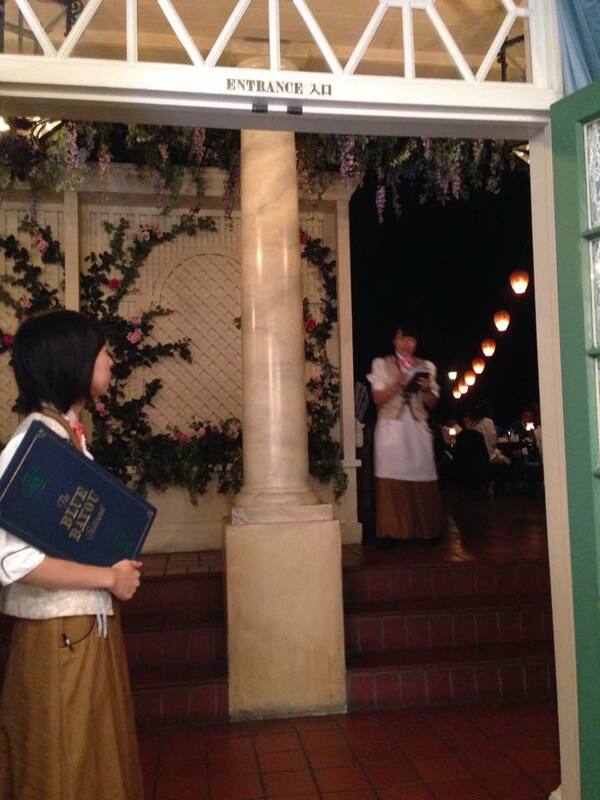 The Blue Bayou is one of the ‘table service’ restaurants at Tokyo Disney Resort. 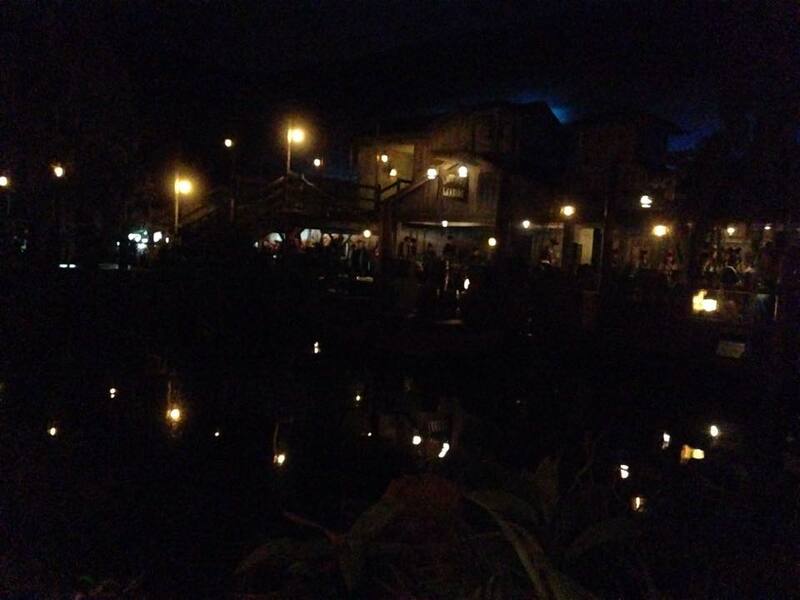 Like the Blue Bayou at Disneyland in the US, the restaurant at Tokyo Disneyland is located inside the Pirates of the Caribbean attraction, within the New Orleans part of Adventureland. 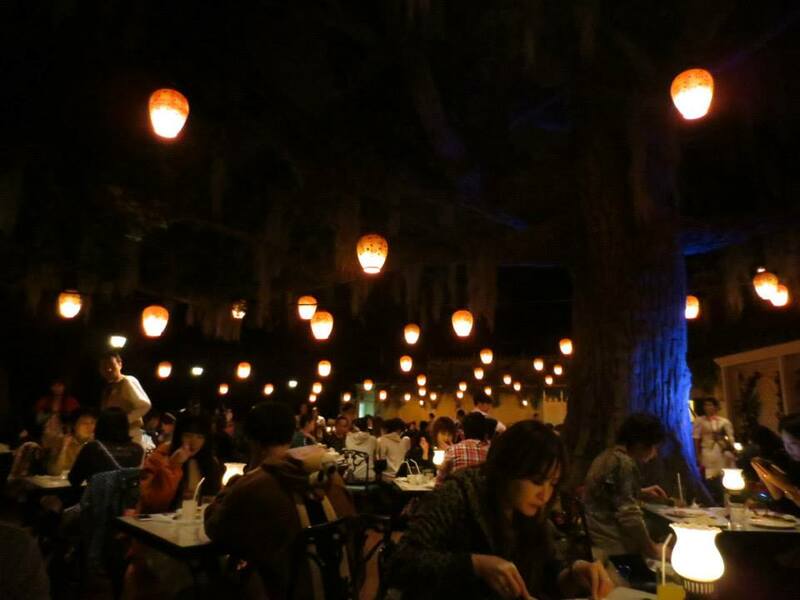 An interesting aspect of the Blue Bayou, perpetually lit to feel like night time, is that the waterfront restaurant shares the same river as the Pirates of the Caribbean ride. In a way, the ride enhances the feel of the restaurant, and while you’re on a boat in the ride, the restaurant gives the ride itself a more realistic feel. Whilst the atmosphere is a big part of what makes this one of the best restaurants at Tokyo Disneyland, the food is great too. 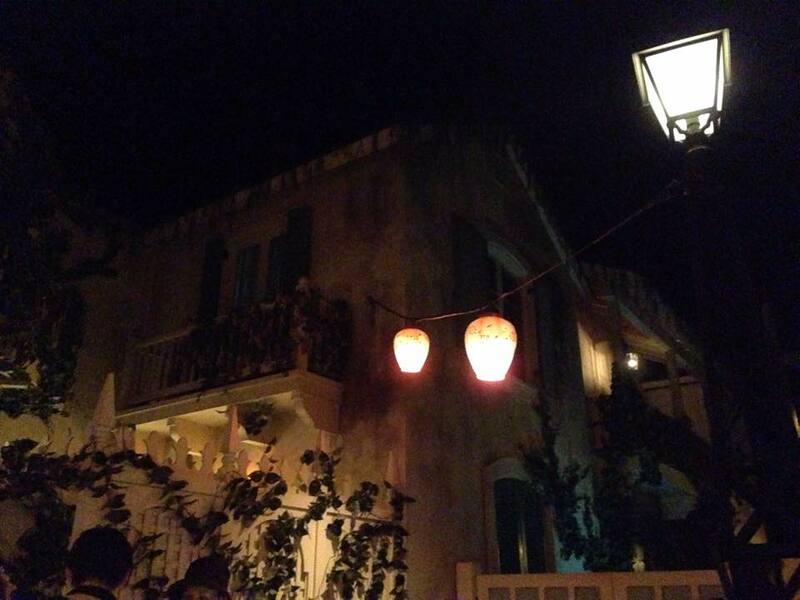 The Blue Bayou is a popular restaurant and having eaten there, it’s no wonder that there are always long queues to get in.We went during the week leading up to Halloween, which is always a busy week at TDR. It was a weekday and therefore not as busy as a weekend, but arriving at the restaurant around 11am, we still had to queue for about fifty minutes. 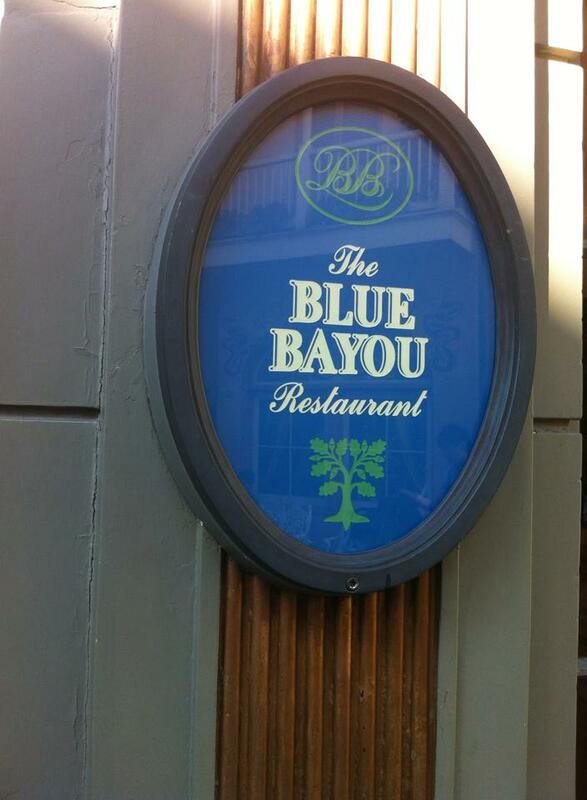 We had enquired about how to book a table at the Blue Bayou when we checked into our hotel and were told that to book, you have to walk up to the front of the restaurant. From what I can tell, you’d have to do this first thing in the morning. We didn’t get there early enough to make this option worthwhile, hence the lining up. Tokyo Disneyland is so beautifully designed that it almost feels real. 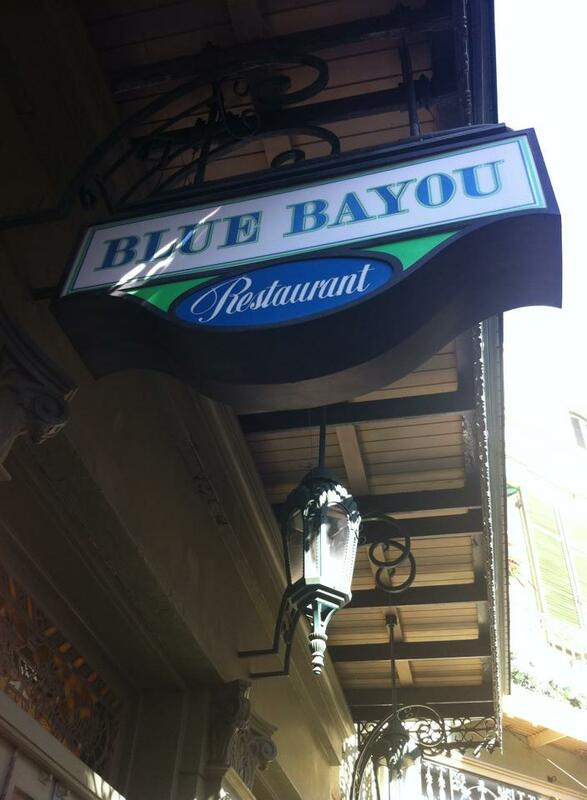 Everything is made to fit perfectly with the themes, and as such, the Blue Bayou blends in well with its surroundings. It’s tucked around a corner in the New Orleans area, and I didn’t even notice it the first time I visited TDR. Once you know what you’re looking for, you just have to keep an eye out for the blue signs (and the long queue of people, neatly lining up around the side). If you’ve made a reservation – or once you’ve almost finished lining up – you’ll enter the restaurant via a waiting room with big French doors, lace curtains, and plants that hang from the ceiling. 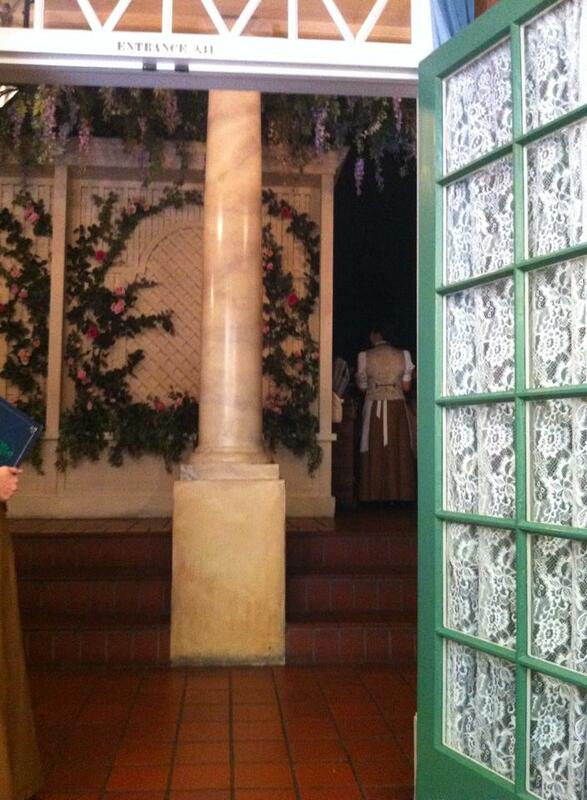 Cast members in old-fasioned long dresses take customers to their seats. There are seats in the waiting room, which are tempting after waiting in line for almost an hour (we did notice some other tourists who attempted to push in when the people in front of them sat down, so watch out for that. Most people are well behaved when lining up for the restaurant, but people being people, some may be more opportunistic than others!). Some seats are right by the water, and I believe that you can request these when making a booking. We were lucky enough to get an excellent waterfront table even though we didn’t make a reservation. There are quite a lot of tables in the restaurant so it really just comes down to luck. 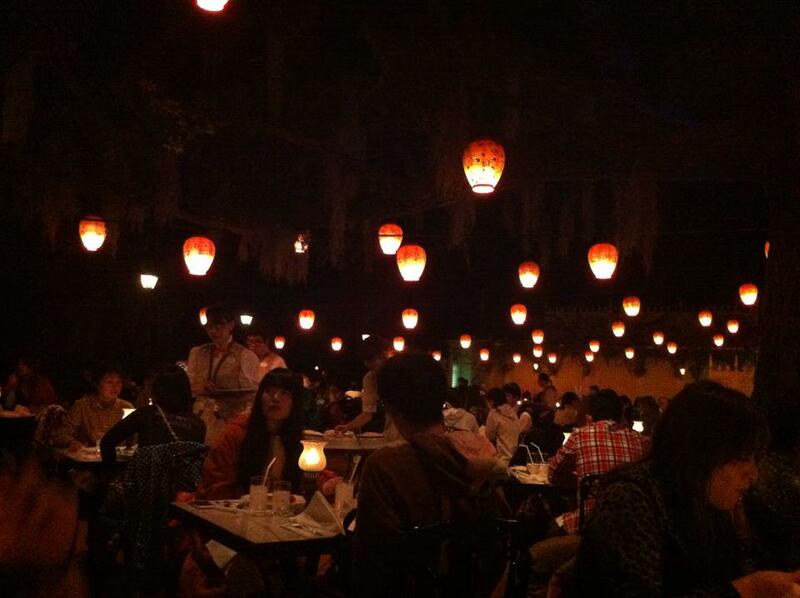 The Blue Bayou has a great atmosphere and one of the first things you’ll notice is how it is lit with hanging lanterns. 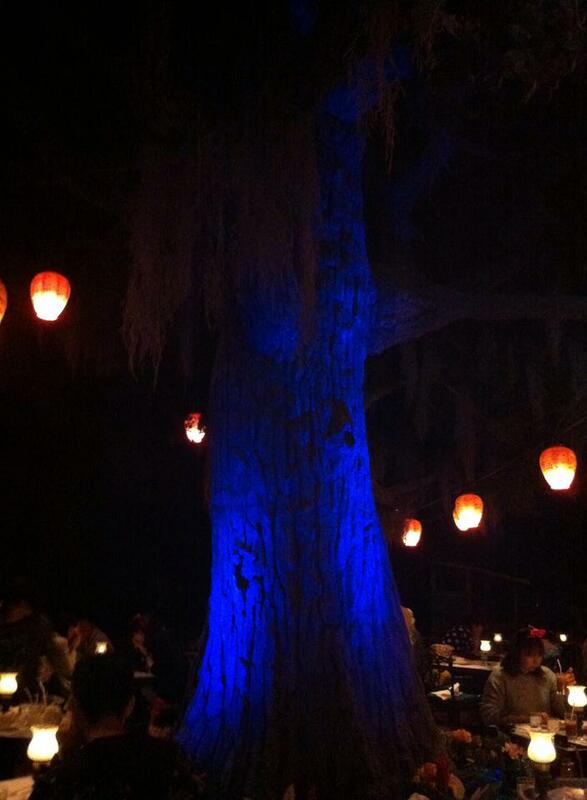 Even the table lamps are in keeping with the theme, and it’s always night time in the Blue Bayou. This of course doesn’t lend itself to photos that could ever do it justice, so I just have to recommend that you go there and experience it for yourselves! When you look out across the river, you’ll see the boats going by, as well as what looks like other houses in the dark. That’s the Pirates of the Caribbean ride. We ordered the soup of the day which I believe was a four mushroom soup (or maybe it was five mushrooms… let’s call it ‘several mushroom soup’! 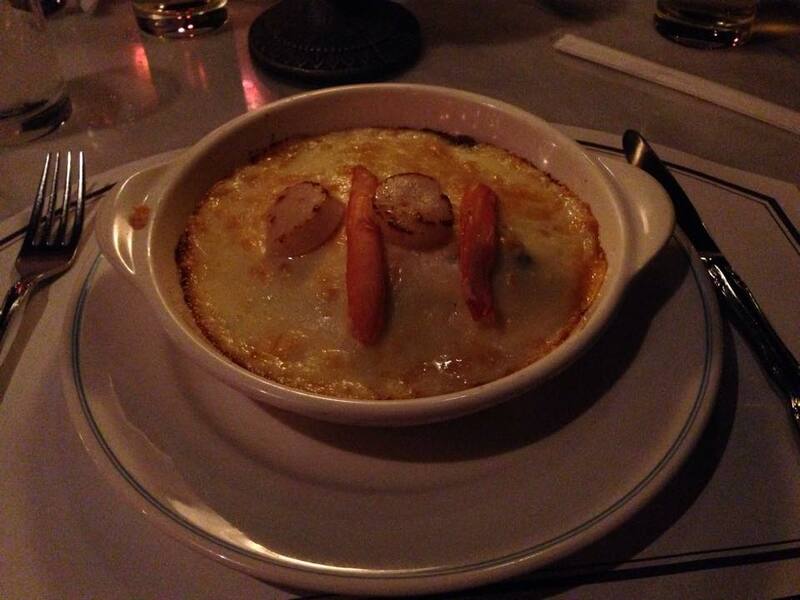 ), potato cream soup, salmon, snow crab and scallop au gratin, sauteed lobster tail and scallops. The salmon, snow crab and scallop au gratin appears to be one of the most popular dishes (and it has received good reviews on other blogs such as two of my favourites – Disney Tourist Blog and Disney Travel Babble). Everything that we tried was delicious. 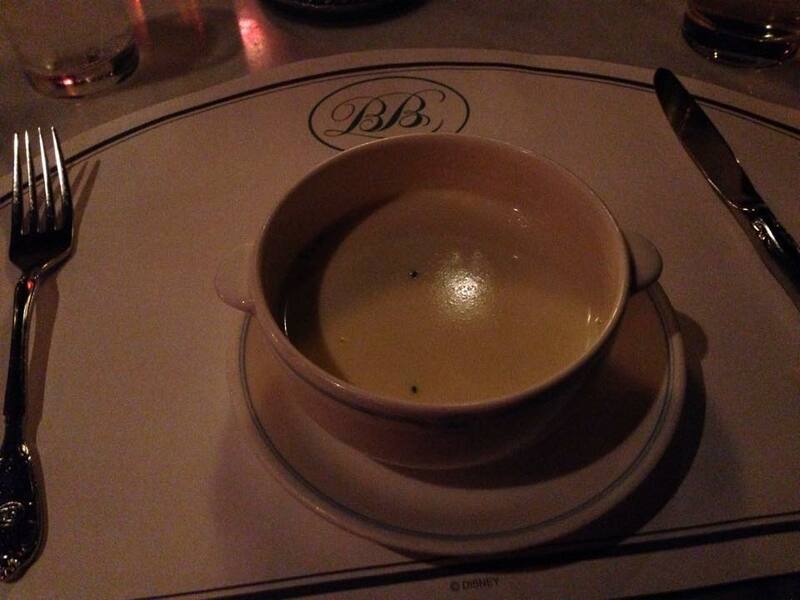 Both soups were excellent, the au gratin was great – creamy, cheesy, rich, flavoursome – and the sauteed lobster tail was just as good. Several mushroom (four or five!) 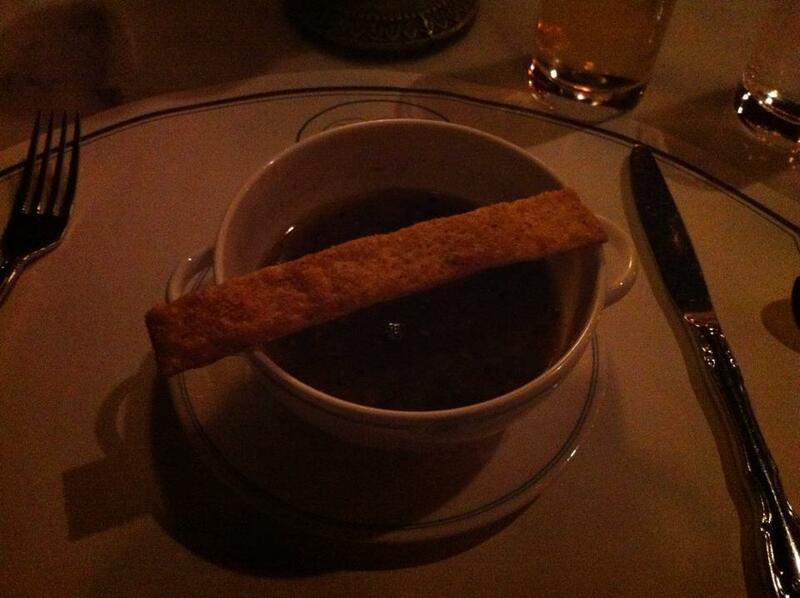 soup. Salmon, snow crab and scallop au gratin. Sauteed lobster tail with scallops. 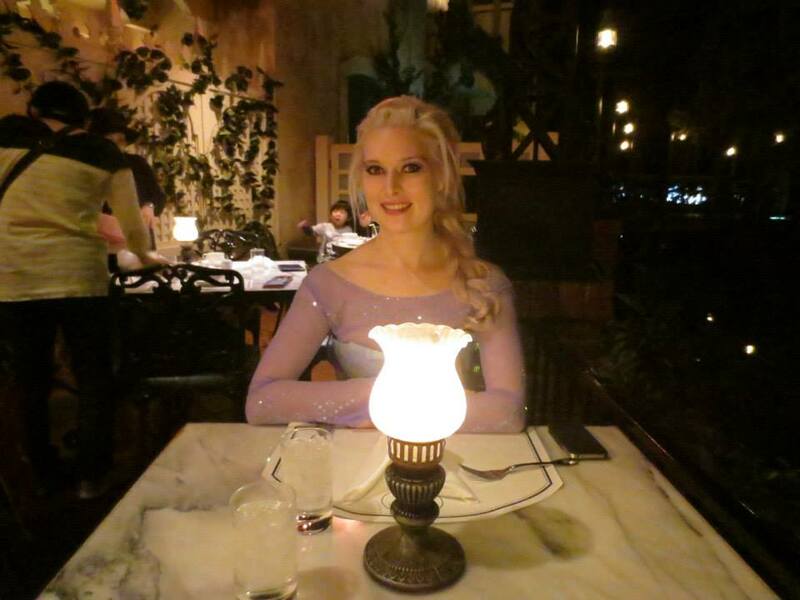 And just for good measure, here’s a picture of yours truly dressed as Elsa from Frozen at the Blue Bayou! You can read more about Halloween at TDR here. After you pay at the counter, you leave the restaurant via the same waiting room, where your eyes get a few seconds to adjust before you’re back in the daylight. 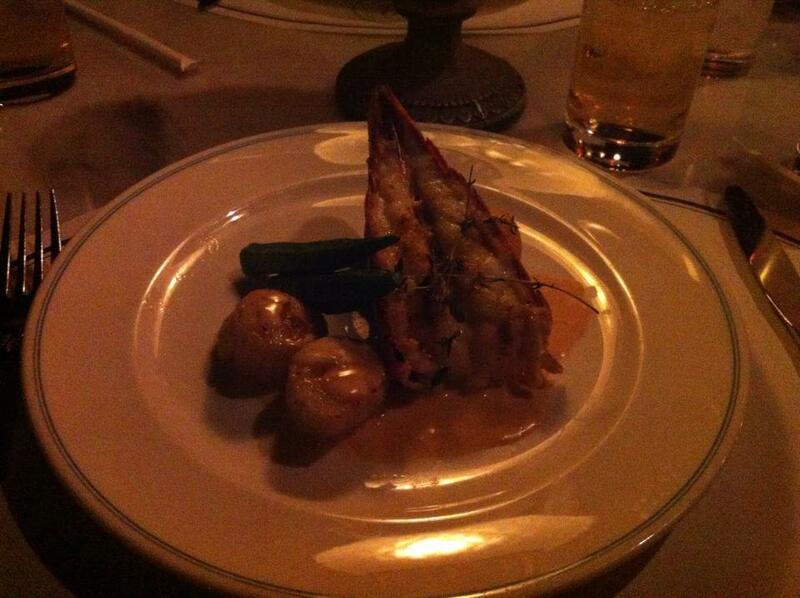 All in all, the Blue Bayou did not disappoint. We really enjoyed it and it’s on our list of restaurants to visit next time we go to Tokyo Disneyland – even if we have to queue for almost an hour again! At 6,700 Yen (for two soups, two mains and drinks), it’s definitely not the cheapest option, but it’s also not the priciest restaurant at TDR (restaurants such as Oceano at Miracosta in Disneysea take the cake there!). 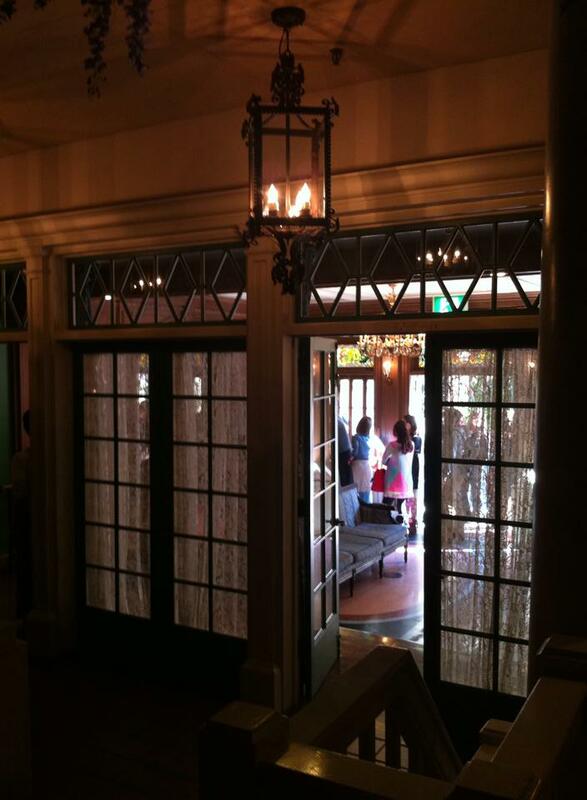 Next up we’ll look at Ristorante di Cannaletto at Disneysea – another of my favourite restaurants at TDR.